US multinational conglomerate Cisco is one of the world’s largest manufacturers of networking hardware and telecommunications equipment. The technology thought-leader is considered by many within the ICT industry to be a global leader and pioneer in championing and developing new innovative products and solutions. Telecom Review managed to secure an exclusive interview with Michael Yeung, Head of Engineering for Elastic Services Controller at Cisco, at the Telecom Review Leaders’ Summit. The Cisco executive delivered a detailed and fascinating keynote presentation which focused on automation at the 2-day conference which was held from Dec 10-11th at The Meydan Hotel in Dubai. 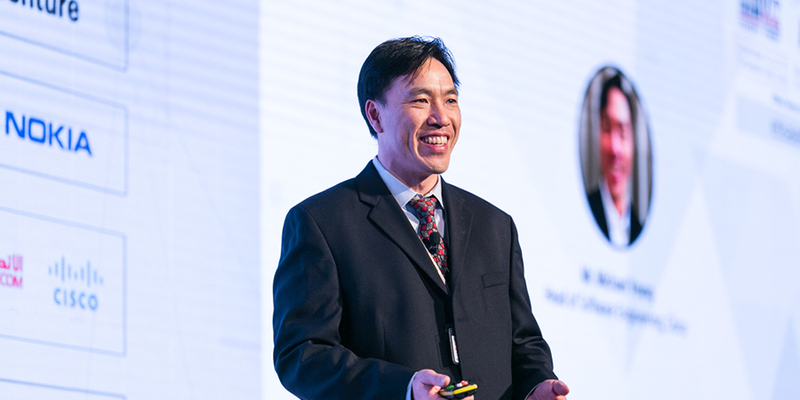 In an excellent and engaging interview, Yeung outlined the challenge he faces in terms of convincing communications service providers to embark upon digital transformation, noting that while some are aggressive, others remain conservative. In addition to this, he outlined his thoughts on emerging technologies and projected the impact they’re going to likely have once implemented, what differentiates Cisco from its competitors and his plans for 2019. You delivered a keynote presentation at the Telecom Review Leaders’ Summit entitled Automation – Vision, Strategy and Execution. Can you outline to us what was the key message you were trying to convey? My presentation at the Telecom Review Leaders’ Summit was centered mainly on Cisco’s thoughts around automation. I highlighted industry orchestration and virtual network functions as the main focus in my keynote on automation. The real question is how we can efficiently roll out services quicker and in a more agile way, which ultimately boils down the total cost of ownership and increases in service revenue. My presentation was all about how we can monetize and make it more efficient for our customers to maximize their infrastructure and resources through automation. The ICT industry is in the midst of a digital revolution. However, have you encountered resistance from telecommunications operators in relation to embracing digital transformation? It’s definitely a huge transformation for operators to embrace. We work with a lot of tier 1 service providers all over the world. We’ve noticed some SPs are a lot more aggressive than others and some are very, very conservative when faced with embracing digital transformation. It becomes even more challenging sometimes because the people you’re talking to may lose their jobs through the adoption of automation into their organization. There’s not only a huge technology evolution, but there’s also been a huge culture shift as well that comes along with the advent of these disruptive technologies. We’ve been slowly educating our customers on the impact integrating these emerging technologies can have on their existing operations and the benefits of automation, and we’re starting to see quite a big increase in adoption. Even customers that are sitting on the sidelines are beginning to realize that they better do something now before it’s too late. You’ve been in attendance for all the keynote presentations and panel discussions at the Telecom Review Leaders’ Summit which have examined all the current topics in the today’s ICT ecosystem, but what insights and viewpoints expressed have been the most interesting from your perspective? There was a number of interesting discussions during the summit. However, I thought the 5G use-case that was centered on healthcare was amazing. It was also very interesting to hear from government officials in attendance at the event, in terms of what they expect from us as the provider of these emerging and revolutionary new technologies. The focus on smart cities was also insightful, but what I took from the overall conference was that the technology is just one side of it. What I gathered from all the presentations and discussion was that the mindsets of leaders and governments are actually more important than the technology itself, because at the end of the day, technology is just an enabler. With every transformation there’s regulation, so governance is hugely important. Cisco is a global leader and pioneer in the ICT industry. However, in your expert opinion, what is it that differentiates Cisco from its competitors? Cisco is hungry for innovation. You can see that we do our own innovation, and if we don’t do enough of it then we go and buy our innovation! We’re always trying to innovate, and I really think at the end of the day what we can bring to the table is unrivalled. We’re looking to disrupt the next-generation of technologies, whether it’s automation or analytics, and that’s fundamentally what we’re looking to do. Can you outline to us what your primary roles and responsibilities are Head of Engineering for Elastic Services Controller at Cisco? Before I joined Cisco, I worked in various different industries with a whole host of organizations ranging from startups, to SMEs and multinationals. Right before I made the move to Cisco, I was involved in a lot of technology evolution with my previous company that worked on software-based and cloud-based virtualization. When I moved to Cisco, the company fundamentally wanted to become a software-based company and drive more software revenue. Cisco is also looking to expand its operations around cloud automation. My role as Head of Engineering at Cisco is brilliant because I get a lot of support from my superior in terms of how we drive our software coverage and software innovation for the overall company. There’s a lot of talk about AI, Big Data and 5G, but which of those emerging technologies do you think will create the most disruption in the ICT industry? I don’t think it’s going to be one technology per-se. I think it’s going to be a combination because one technology will drive the effect of the other technology which eventually creates an ecosystem. I think if we only look at one technology, then we’re going to fail, but if we look at how we use one technology to enable the other technology then we’re going to be very successful and we’re going to transform industries. 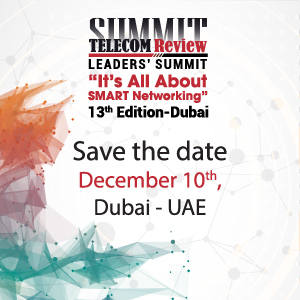 You’ve attended quite a number of ICT events on a global scale, but what is it about the Telecom Review Leaders Summit that differentiates it from other conferences? This is my first time attending the Telecom Review Leaders’ Summit and the experience has been fantastic. It’s also my first time visiting Dubai and it’s a terrific city. 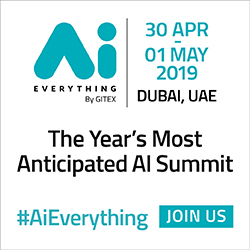 I think one of the key differentiators for this summit in comparison to other industry-leading ICT events is the ability to connect with various leaders from different companies, organizations and governmental department agencies. In addition to this, the opportunity to be able to learn about a different way of thinking has also been great. My job brings me to Asia on a regular basis, and I work a lot with European and North America companies, but my exposure to the Middle East has been limited, by attending and being able to be present here at the Telecom Review Leaders’ Summit has been a very good experience for me. What are your main objectives and goals for 2019? We’re going to evolve our technology more in an effort to be able to support the cloud native initiative and that’s something that we really want to do. In addition to this, we need to look at how we can bring along what we’ve built so far and meanwhile not completely wipe it out and leverage it for different initiatives within the cloud.